Michael Jordan holds the record for appearing the most times on which cereal box? "Goodness in Sugar-Toasted Oats 'N Wheat"
This cereal was described on one box as "The Sugar-Toasted Oat And Wheat Cereal." What do you think of Jets? View all 59 comments for this cereal. Although it was the best cereal ever, I am sure that it was loaded with sugar and everyone decided sugar was a bad thing. So I am sure that is why it disappeared. 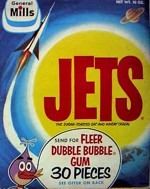 Loved it though and my mom used to make Peanut Butter Marshmallow Jets for treats! My absolute favorite cereal of all time! One of my favorite childhood memories! One of my best childhood memories! I use to eat them instead of candy. I really miss them. Can't ya bring em back, pleaseeeee!! Loved this and would love to see it return. Is there a anything today that tastes like it? 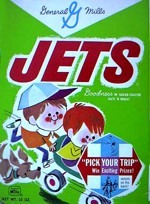 Also, am I correct in remembering this advertised as 'Jets are for boys'? 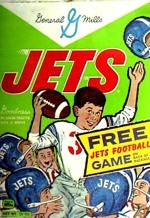 People who know and remember 'JETS' are becoming fewer and fewer. Made primarily of oats, these unsinkable little balls of crunch left the cereal cupboard way too soon. I, like most who loved this cereal, yearn for its return and would like one more opportunity to have these available to enjoy again before we leave this life. This is so evident in nostalgic comments posted here. 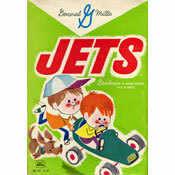 We all remember the truly unique characteristics, taste, and eating satisfaction afforded and fondly recall decades old memories about our love affair with 'JETS' in its 'original' formulation. My favorite cereal of all time! Wish they would bring it back! 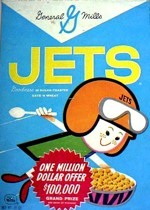 I've always missed Jets cereal. Why did they get rid of their best cereal and now sell all these goofy flavored ones. PLEASE BRING THEM BACK! 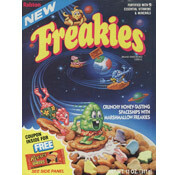 One of my very favorite cereals and most missed. The best cereal EVER! I ate it every morning. Where can I buy some? Please say I can still buy some. BRING THEM BACK! My all-time favorite. They should bring it back!! !